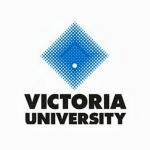 Victoria University in Australia is offering international students who are seeking to continue their doctorate education the opportunity to apply for PhD scholarships for 2019. The university offers 35 scholarships each year to encourage postgraduate research, and they are awarded on academic merit for 3 years. The university offers $23,500 stipend annually and tuition fees. The first such payment shall be made by the Scholarships Office as soon as practicable after confirmation of enrolment. Up to $200 may also be paid towards the cost of producing the thesis on proof of receipt. The thesis allowance entitlement will lapse if it is not taken up within four years of the original enrolment for PhD including periods of suspension.